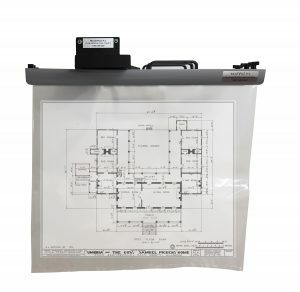 Plan Bags: This is a heavy duty polyethylene bag which will not fade and can be stored and bound by a Multifile Premium Plan Clamp as well as loose. 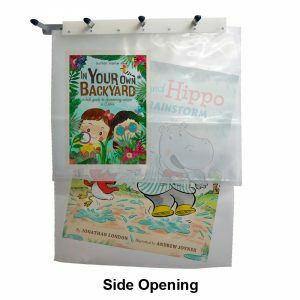 Job Bags (Big Book): This is a heavy duty polyethylene Plan bag WITH a heavy duty polyester strip eyeletted to the top of the bag to allow it to be stored and hung from the Mobile Poster Rack or the Wall Mounted Poster Rack. 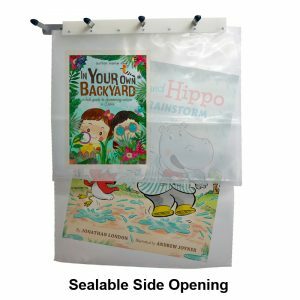 Job Bags are available in top and side opening as well as sealable.